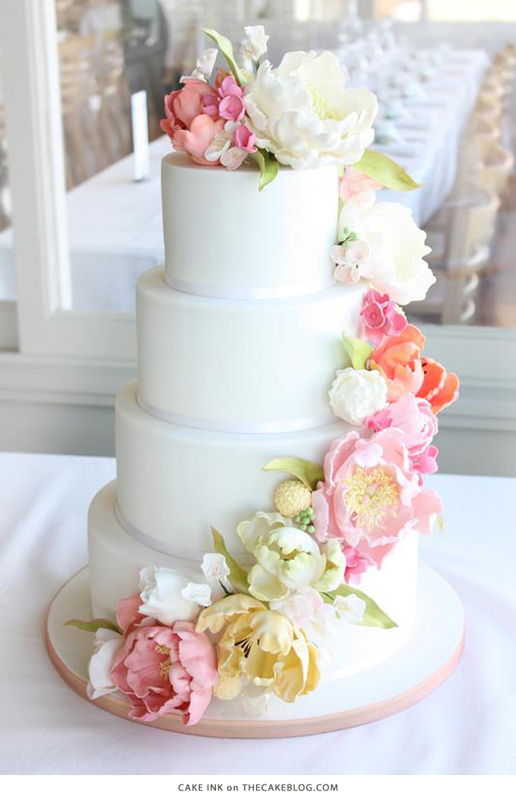 A stunning arrangement of sugar flowers crowns the top of this fresh design by Maggie Austin, owner of Maggie Austin Cake. Maggie’s signature frills are even more lovely paired with floral tiers and a cascade of floating petals. 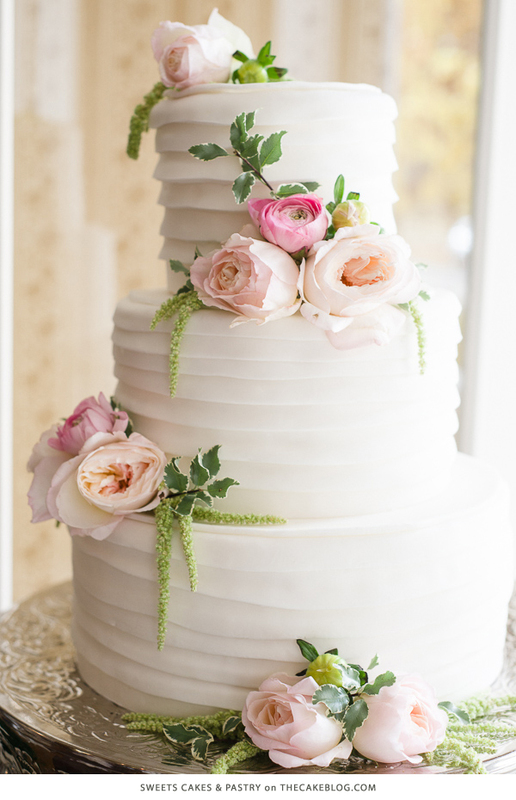 Speaking of cascading flowers, we can’t get enough of this floral design by Janelle Dedini, co-owner of Cake Ink. Soft pastel blooms of sugar swirl around tiers of pristine white in her signature design that captures the pure essence of spring. 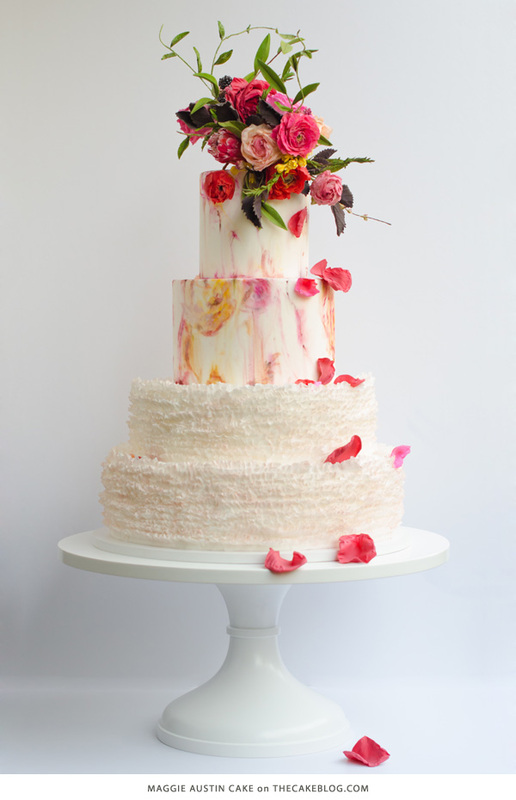 This delicate buttercream cake by Liz Shim, owner of Eat Cake Be Merry, features hand-piped buttecream flowers that simply amaze! With an arrangement of roses, peonies and baby’s breath in soft hues of peach, pink and white — buttercream flowers are looking more gorgeous than ever! 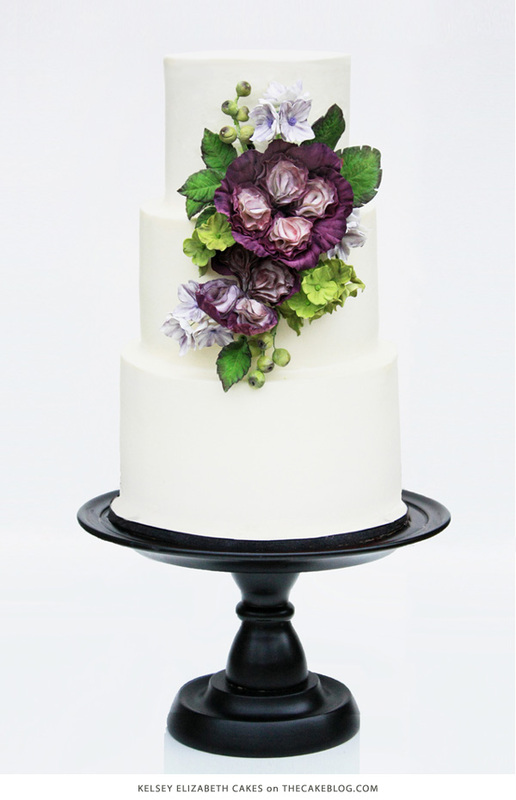 Shades of plum and lime marry in this vibrant floral design by Kelsey Smith, owner of Kelsey Elizabeth Cakes. 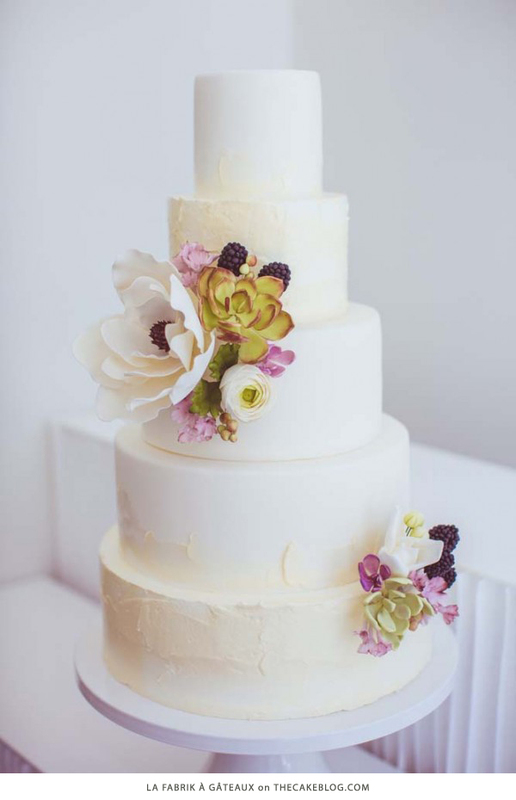 The bold gumpaste berries and blooms really pop when placed on this all-white cake, creating a clean and elegant design worth celebrating! 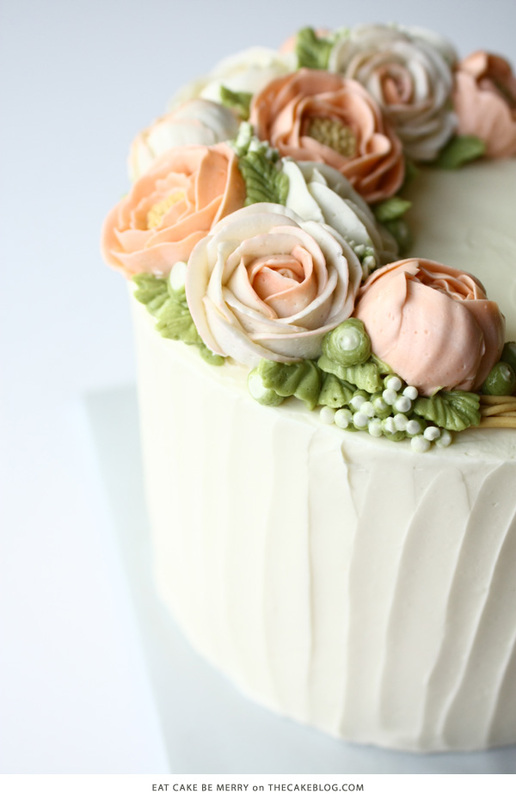 Charming ridges of buttercream skip around this design by Erica OBrien, owner of Erica O’Brien Cake Design, leading us to patches of beautiful blooms. These delicately crafted sugar flowers are artfully arranged for a look that’s pretty as can be. 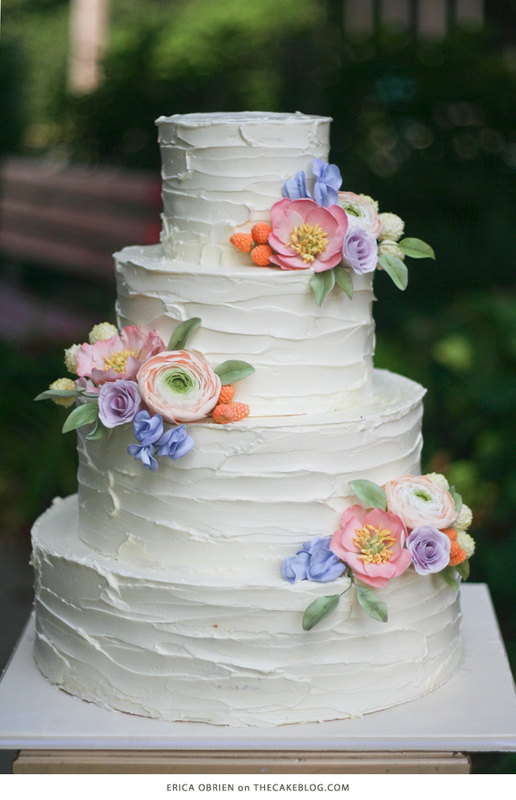 See more of this cake in our original feature post HERE. 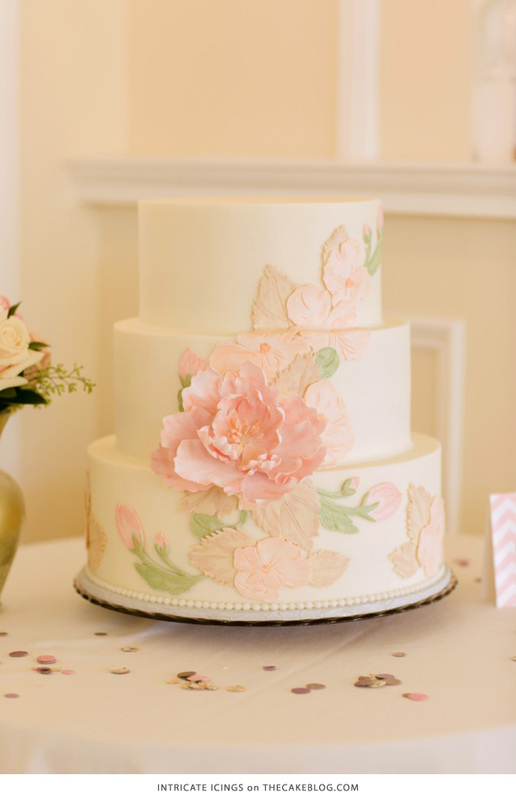 Blended watercolor florals are accented with gold detailing in this dreamy design by Cat Campbell owner of The Cake Whisperer. 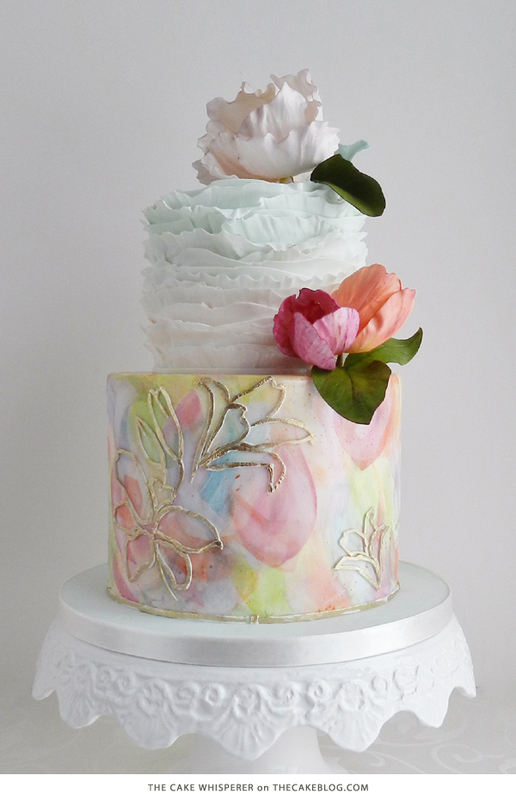 Dainty ruffles, sugar blooms and a rainbow of pastels complete this delicate spring scene. Is the tiny flower pot tutorial not available anymore? I keep clicking the link and it goes to page not found. Sorry about that! The link has been updated and should work for you now. Here it is again, just in case! Although I love fresh flowers on a cake, seeing the amazing artistry behind sugar and gumpaste flowers never ceases to amaze me! 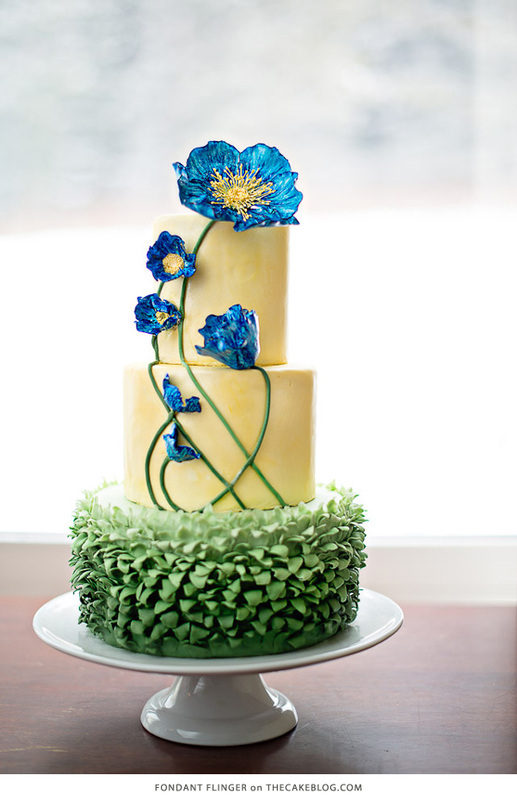 These flower cakes are absolutely gorgeous! I love for my couples to have pretty wedding cakes like these examples. These are just beautiful. You are extremely talented. Thank you for sharing.